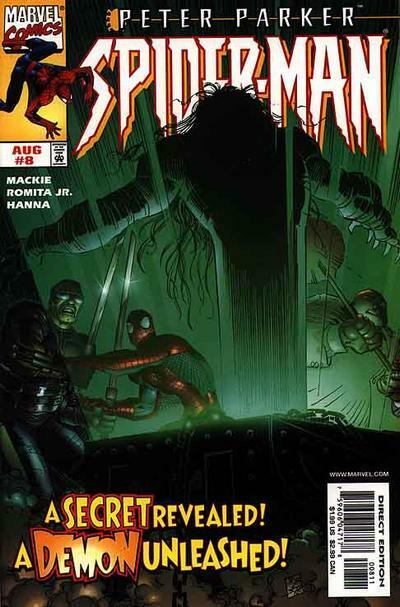 scans_daily | Blade, Morbius and the amazing art of John Romita Jr.
Blade, Morbius and the amazing art of John Romita Jr.
Blade is one of my favourite characters in comics, and Morbius is one of my favourite Spider-Man villains, so seeing them drawn by such a great artist is a real treat. 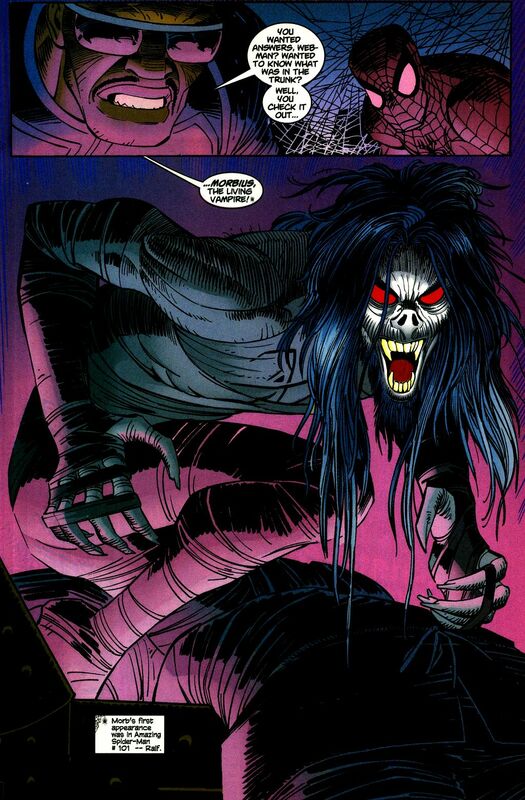 I love how Romita Jr. makes Morbius look so emaciated, and bathes everything in an eerie purple glow. 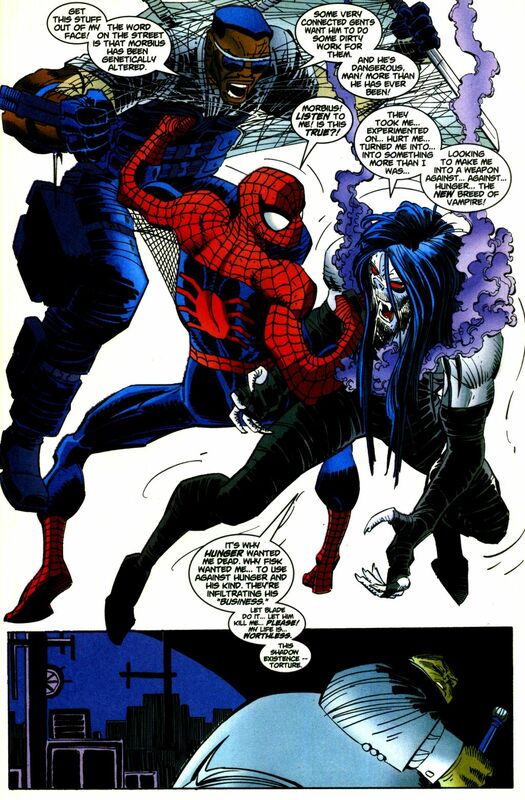 I know it's a longshot, but with so many movies and Netflix shows, I'd love to see these two characters interact with Spider-Man one of these days. And then they pitted him against a vampire named Hunger, who was meant to be the next big thing despite having a topknot and the same name as the Shreddies mascot. Also, not to be that guy, but it's kinda odd you put JR jr. in the title and not the tags. 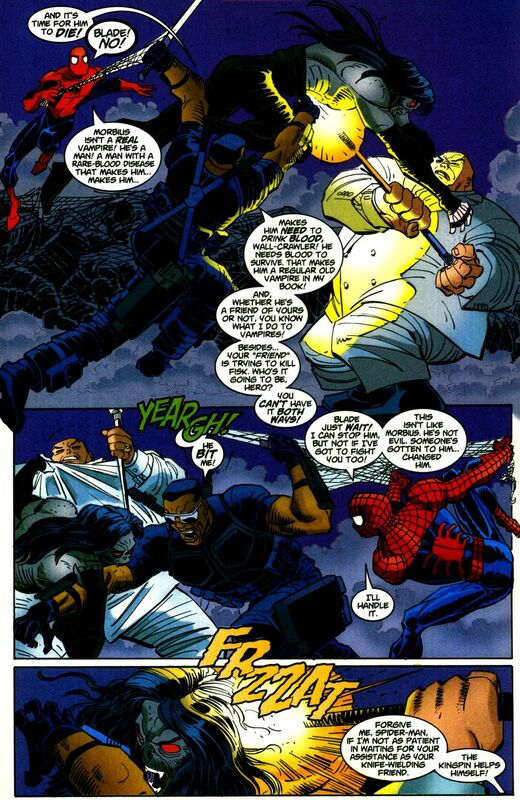 I appreciate that in the last panel Kingpin totally looks like a fat vampire slinking away.